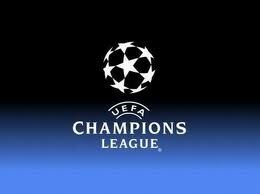 Champions League Highlights for English Premier League clubs (including video) for Tuesday, September 18, 2012. Group stages began this Tuesday opening with matches from Groups A, B, C, and D.
67,000 fans attended the Bernabeu stadium to see a splendid display of football. Both teams had a few chances in the first half, but the match really started after the break. The Premier League Champions opened the scoring with Edin Dzeko at 68′, but this did not last long before Marcelo equalized for Real on 76′. The last 10 minutes saw the most excitement as City took the lead in the 85th minute through Aleksandar Kolarov, but again saw their lead cancelled out by an 87th minute strike from Karim Benzema. The best was saved for last as Cristiano Ronaldo got the match winning goal in the 90th minute. Arsenal took on French Ligue 1 champions Montepellier in the opening group stage match. The English Premier League side looked to continue their recent run of form and appeared to suffer a setback in the 9th minute by giving up a penalty. Lukas Podolski and Gervinho were able to wrap up all 3 points by the end of the first 20 minutes with goals in the 16th and 18th minutes. Arsenal mostly dominated play and went close several more times. Montpellier did have a great chance in the last minutes of the game, but Belhanda merely shot directly at Arsenal keeper Vito Mannone. Home » Results » Champions League Highlights: How did the Premier League Clubs do?